REA has also decided to join the Spring Baseball auction party. Featured here are several Dodgers-related collectibles that struck out to me. One of the hallmarks of REA is the outstanding selection of vintage (typically pre-war) cards and memorabilia. As an example, check out the rarity below. This is an 1889 Police Gazette cabinet card of the ever-popular William "Adonis" H. Terry. These cards were issued as premiums that readers of the Police Gazette could purchase for a dime. At the time, this weekly magazine was one of the more prominent periodicals in the country to provide in-depth stories on the game. Adonis Terry, as you may know, was a very popular Brooklyn ballplayer. In fact, he was the franchise's first star. Per the auction description. He was also the first pitcher in Dodger history. 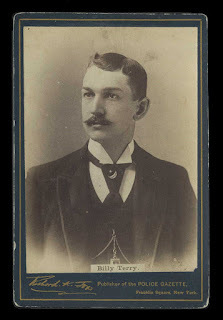 Terry led the Brooklyn Grays to the Interstate Championship in 1883. Following this success, the team was admitted to the Major Leagues in 1884, and Adonis Terry became the first pitcher in the franchise's history. Over the next thirteen seasons, Terry recorded 197 wins and had four 20-win seasons. He also has the distinction of having two no-hit games. 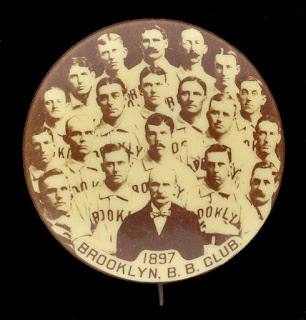 He no-hit St. Louis in 1886 and Louisville in 1888, both while pitching for Brooklyn. His 22-15 record led Brooklyn to the American Association Championship in 1889. As you might of guessed, he got his nickname, Adonis, for his ravishing good looks. It has been said that ladies flocked to the stadium to watch him pitch. Frankly, as I look at this portrait I think to myself, "I don't see it." 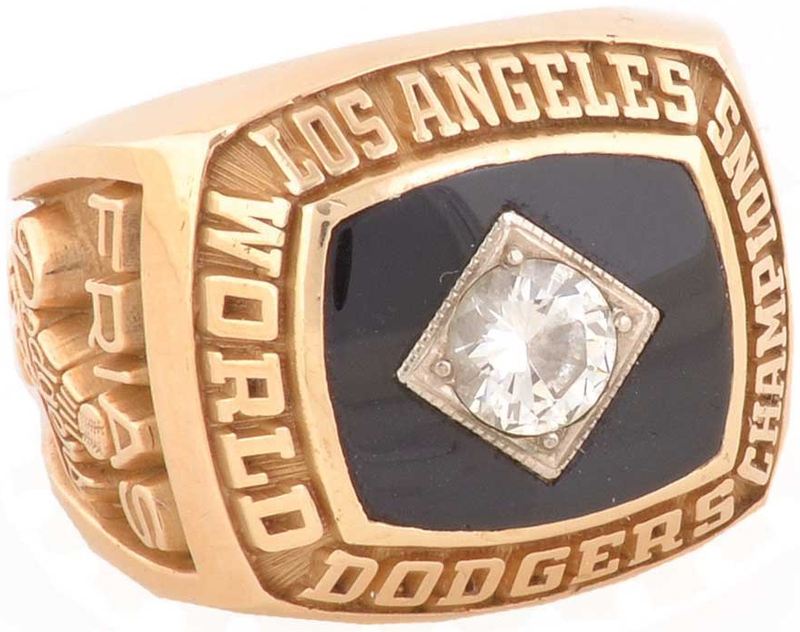 Frias was actually released by the Dodgers on August 31, 1981, but the organization deemed his contributions to the club significant enough to warrant the presentation of this ring the following year. 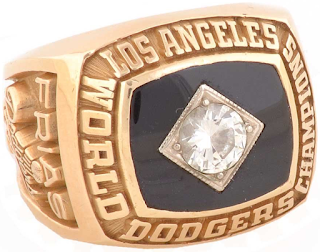 The Dodgers defeated the New York Yankees in six games in the 1981 World Series, with the victory marking the club's first World Championship in sixteen years.